There's cosplay and then there's world record breaking cosplay. 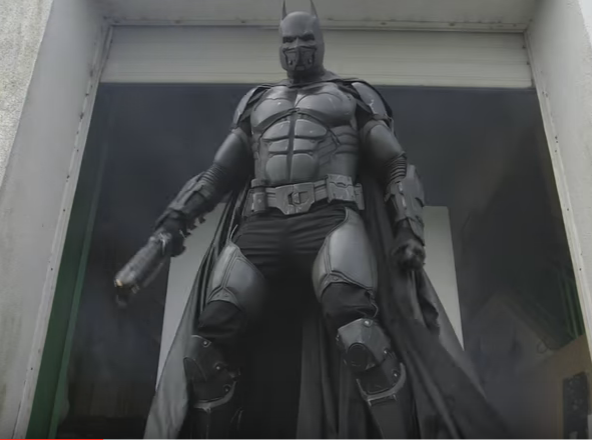 Julian Checkley, a fan of movies and comics that led him to a career in special effects, has put together a Batman costume so good it's awarded him the Guinness World Record for the most functional gadgets on a cosplay suit. Using a 3D printer, molding, and casting in urethane rubber, Julian's suit was created based mostly on the 'Arkham Origins' video game. With a functioning grappling gun, fireball shooter, tracking beacon and twenty other working gadgets it's no wonder Guinness decided to include him in their 2017 Gamer's Edition coming out this September. "This incredible cosplay suit is a great example of the eclectic records that appear in this year’s Gamer’s Edition 2017," Stephen Daultrey, Editor of the Guinness World Records 2017: Gamer's Edition, said. "The detail and imagination behind the gadgets take the meaning of cosplay to a whole new level." Preorder your copy of Guinness World Records: Gamer's Edition 2017 now!